This season Alex Tuch has played in 72 of the Golden Knights 80 games putting up career-high numbers across the board. 20 goals, 32 assists, a +13 rating, and just 8 penalty minutes over the course of the whole season. He was the team leader in points for a long stretch of the middle of the season and currently leads the team in game-winning goals with six. Tuch has done all of it in while playing right wing. However, he hasn’t played right wing all season. On five separate occasions, Tuch has been utilized as a left wing, three of those coming within the last five games. In those five games, Tuch has a total of zero goals, zero assists, a +0 rating, and zero penalty minutes. His TOI is down from his season average of 16:46 to 16:02, and in two of the five he played less than 15 minutes. That being said, he’s been credited by NaturalStatTrick for creating 15 scoring chances individually (up from his season average). He’s taken 15 shots, or three per game (up from his season average), and he’s put up an impressive 65.1% Corsi (up from his season average). The Golden Knights have conceded just one goal against with Tuch on the ice in the five games (.20 per game) he played on the left while they’ve allowed 46 in the other 67 games (.69 per game). Vegas has also dominated in high danger chances for and against with Tuch on the left wing, creating 21 while allowing only six. That’s good for a 77.8%, Tuch’s season average is 60.0%. Moving forward, it appears Tuch will have a home on the right wing with Cody Eakin and one of Brandon Pirri, Tomas Nosek, or Ryan Carpenter. Vegas will rely upon at least some scoring from that line, and Tuch will have to be a big part of that. Whether he’s on the right or the left wing, the Golden Knights need him in the playoffs. I’d recommend they play him on the right, because results are always better than analytics. 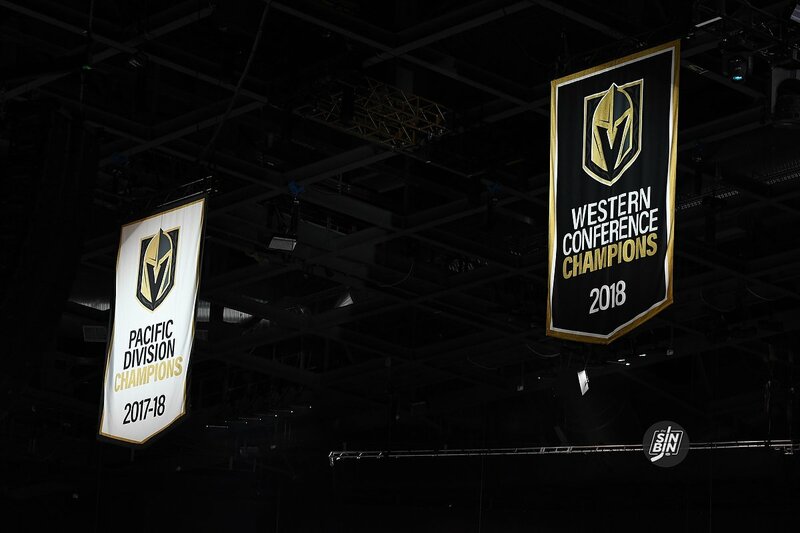 The Golden Knights are the reigning Western Conference Champions. They were able to achieve this in large part due to their dominance against the Pacific Division. A year ago, Vegas went 20-6-3 against the Pacific en route to claiming the division title. They then defeated the Pacific Division’s Kings and Sharks to reach the Western Conference Final. This year, the standings look a bit different with the Golden Knights firmly planted in 3rd place with 79 points through 68 games. That’s seven points short of San Jose and 10 off Calgary’s pace. However, like last year (and every year for that matter), the road to the Western Conference Final for Vegas goes through the Pacific. And while the Golden Knights are playing at just a 58.1% points percentage, they are significantly better against their own division. Vegas has a winning record and/or positive goal differential against every team in the division as well. In the division, only the Sharks have a better record than the Golden Knights, and Vegas has the ability to flip that script with a pair of games against San Jose on March 18th and 30th. 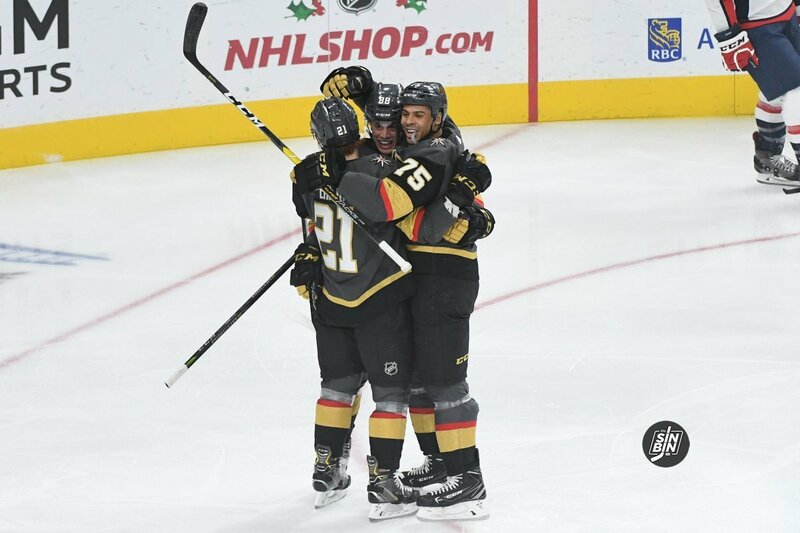 In two seasons, the Golden Knights record inside the Pacific Division is an incredible 34-11-5 (.730) with a goal differential of +47 (+26 in 17-18 and +21 in 18-19). The Golden Knights have eight Pacific Division games remaining on the schedule before what is almost certainly a seven-game series against a division foe in the first round and a seven-game series against another one in the second round. 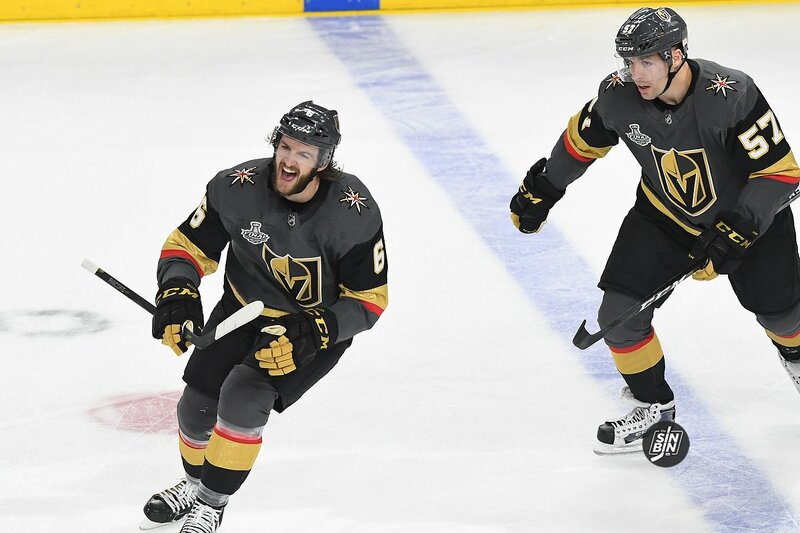 The playoff format is probably going to change at some point, maybe even as soon as next year, but while it remains the way it is, there’s no question it’s advantage Vegas. 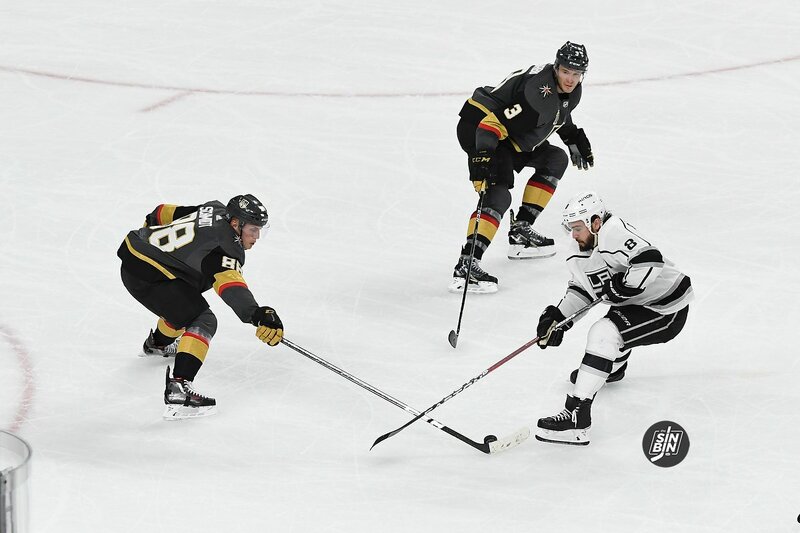 One of the biggest complaints surrounding the Golden Knights this season has been about their supposedly porous defense. 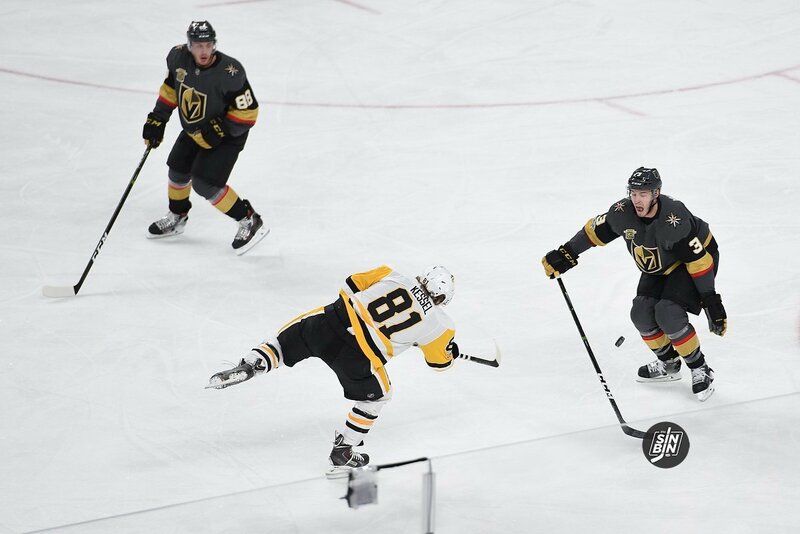 Check out Twitter, Facebook, Instagram, or chat with fans in the stands, most people believe the Golden Knights aren’t good enough defensively to win the Stanley Cup. However, as the title of this article says, Vegas actually has one of the league’s best defenses. Pick a metric, goals against, shots against, shot attempts against, penalty minutes taken, penalty kill, scoring chances against, high danger chances against, all of them, literally every single one, the Golden Knights are in the top five in the NHL (see all below). It gets even better when you add offense into the mix. They are top three in Corsi For %, Scoring Chance %, and High Danger Chance %. That means they create far more shot attempts, scoring chances, and high danger chances, than they allow. Individually, the Golden Knights have seven defensemen with more than 1.7 point shares. All seven of them combine to have created 17.9 point shares, or in other words, the Vegas defense (and that’s defensemen’s defense only) have accounted for 28.8% of the Golden Knights’ points this season. The defense as a whole, including the forwards, have accounted for 32.3 points or 52.1% of the season total. To compare, Calgary’s defense has accounted for 31.9 points or 44.9% of the season total and San Jose’s defense has 25.7 point shares or 39.5% of their total. Last year the Golden Knights allowed 2.74 goals against per game, this year they’ve allowed 2.67. Last year Vegas finished 8th in the league in goals against, at the break, they sit in 5th. Last year they allowed 30.7 shots against per game (7th in NHL), this year they allow 28.4 (2nd in NHL). Oh, and many people will point to the guy between the pipes. Yes, Fleury has been tremendous, but he was actually better a year ago. His save percentage, goals against, and GSAA were all better in 2017-18 than 18-19. Team (not just Fleury) save percentage is .003 lower this year than last year. And, a majority of the stats indicating defensive success are goalie-independent. No matter which way you slice it, the Golden Knights are better defensively than they were a year ago and they are among the best defenses in the NHL, easily top five. Scoring is up across the NHL as each game averages 6.1 goals a game. The Golden Knights are going to allow goals, like around 80 of them, in the next 30 games, but every time it happens you don’t have to scream “This defense stinks!” because quite frankly, it doesn’t. Could VGKs Lack of Defensive Scoring Be A Future Problem? It’s no secret, the Golden Knights are getting very little offense from there defense. Overall, the low production from their blue line could be a concern going forward. Sure, power play specialist Colin Miller appears ready to return to the lineup but even with him it may not be enough. At first glance, 97 combined points from the Golden Knights defense doesn’t look that bad, but when you look around the league it’s a very low total. In just the Pacific Division alone, defensemen are putting up Norris trophy type numbers. Up in San Jose, Brent Burns and Erik Karlsson’s combined offense is roughly the same as the entire Vegas defensive unit. Calgary’s captain Mark Giordano has been heavily involved all season, and on pace for a career-high offensively. When you go through the rest of the contenders in the Western Conference, Vegas has the lowest threat from the blue line. San Jose and Nashville are loaded with blue line scoring, what’s new right? Predators have even been down one of their weapons PK Subban to injury. Like Vegas with Miller, Winnipeg’s blue line lumber, Dustin Byfuglien has also played limited games this season. So, you have to wonder if the Jets are searching for defensive help for the postseason. Technically, this stat is correct. Aside from wins over Washington, Calgary, and San Jose, the Golden Knights have been quite miserable against high-quality competition. However, there’s an important caveat that’s missing to the theme. That caveat’s name is Nate Schmidt. If you use the same stat since Schmidt’s return, the Golden Knights are 3-4-0 (.429) in the same category (with a pair of wins against the Islanders, 12th, just missing the cut). Thus, they were 0-5-0 (.000) against the current top 10 in the NHL without Schmidt. I expanded the stat to include all playoff teams. Vegas is 8-11-1 (.425) against the 15 teams currently holding playoff spots. They are 6-4-1 (.591) with Schmidt, 2-7-0 (.222) without him. It’s not hard to see that the Golden Knights are a different team with #88 in the lineup. 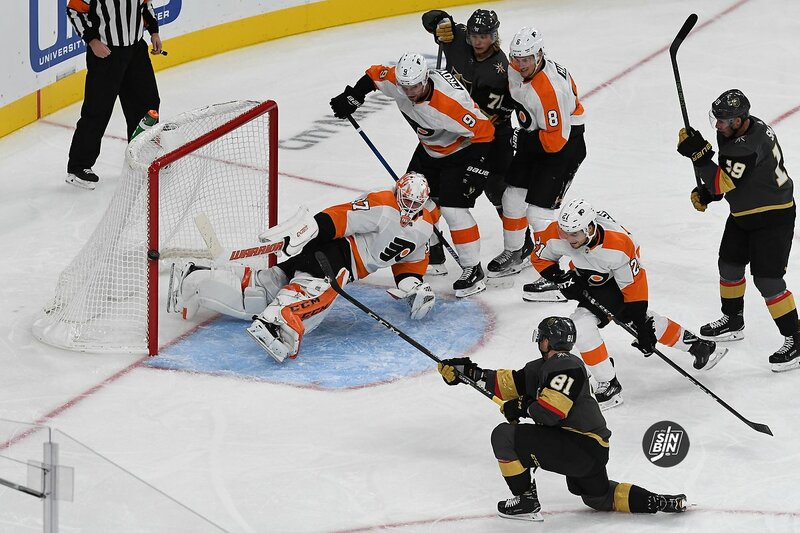 During Schmidt’s suspension, the Golden Knights were 8-11-1 (.425), had a -8 goal differential, and averaged just 2.5 goals per game. Since his return, they’re 20-6-3 (.741), have a +24 goal differential, and are averaging 3.34 goals per game. They’ve beaten Calgary, San Jose, Washington, Dallas, Colorado, and the Islanders twice while falling by on the road to Calgary, Columbus, and Winnipeg and at home to San Jose. (Oh, and if you are into this sort of thing, they outplayed Winnipeg and San Jose in those losses.) Vegas is a whopping 10-1-2 (.846) at home with Schmidt and have improved their road record significantly from 3-8-0 (.272) to 10-5-1 (.656). All the while, in the 29 games with Schmidt, VGK has missed Schmidt’s BFF Erik Haula for all 29, Paul Stastny for 13, Colin Miller for 13, Max Pacioretty for 9, and Reilly Smith for 4. Deryk Engelland, Shea Theodore, Tomas Nosek, and William Carrier have all missed time too. 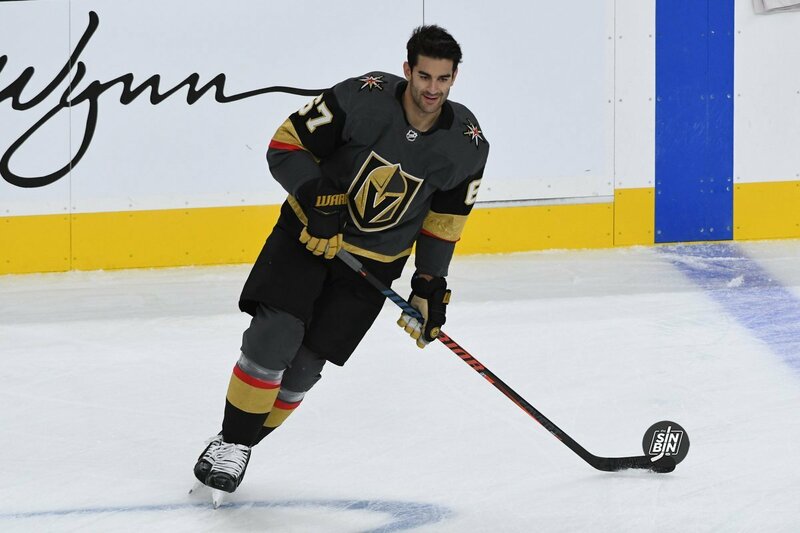 Stats can always be diced up any way you wish, but the fact remains, the Golden Knights are a damn good hockey team when Nate is in the lineup… no matter who or where they are playing. There’s a common saying in hockey that says, “you can’t win in the NHL if you don’t score three times.” Obviously it’s not entirely true as you technically can win 1-0 or 2-1, however, the point of the sentiment is that if a team can’t score three goals consistently, they have little to no chance to be successful. To start the year, the Golden Knights scored three or more just twice in the first 10 games and a measly eight times in the first 20. They also won only eight of those first 20 games. 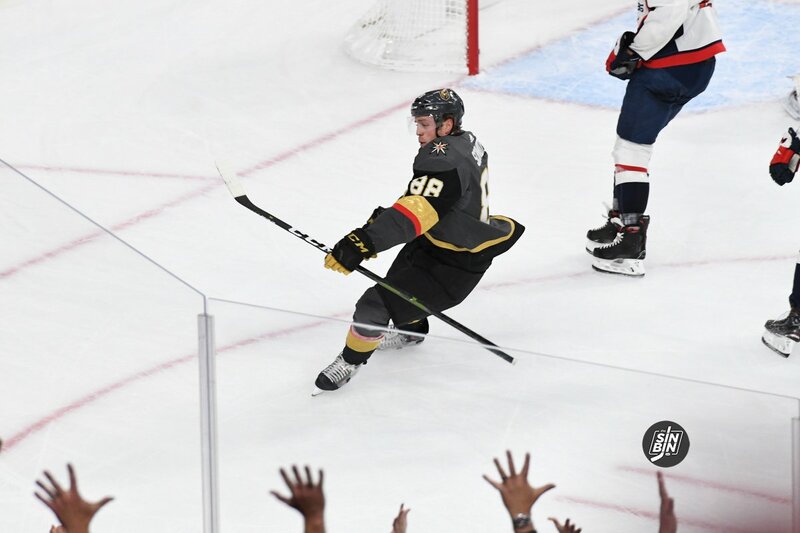 Since Game 20, when Nate Schmidt returned from suspension, Vegas has tallied three or more nine times in 13 games. Rather than saying you can’t win if you don’t score three, Golden Knights fans should be thinking the team can’t lose if they score three. With the win in Brooklyn over the Islanders, Vegas pushed its record to 16-2-0 when scoring three or more goals. One of the biggest reasons for the return to getting to three has been the production the Golden Knights have gotten from all four lines. It’s not just up to the 1st line or the 2nd line to contribute multiple goals a game, instead, the 3rd has had a goal scorer in each of the last three games and in 11 of the last 12 a goal has been scored from someone outside of the top six. 16-2-0 means winning 88% of the time. For Vegas, three is the total of goals the team aims for nightly. Call it Vegas’ lucky number. One of the best ways for the Golden Knights to get to three goals is to score a power play goal. In their last 10 games, they’ve scored a PP goal in eight of them and won all eight; the two they didn’t score, they lost. 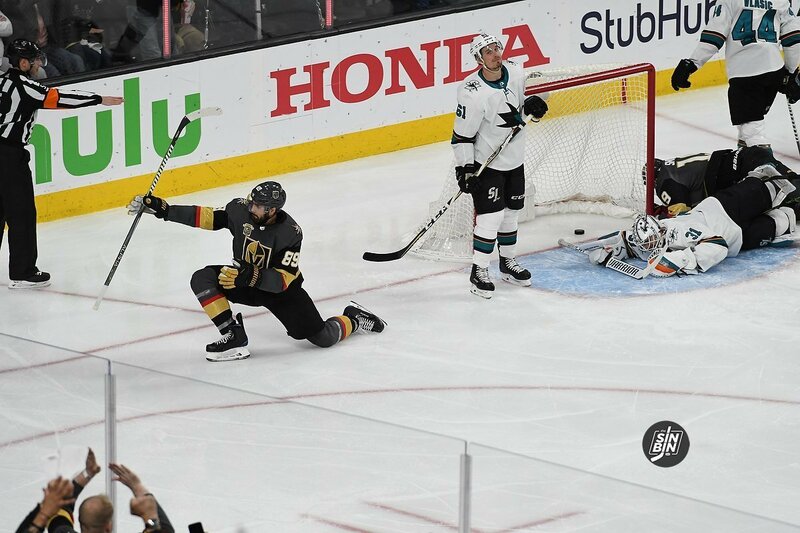 Over the course of the year, the Golden Knights are 14-5-0 when they score a power play goal. The offense has picked up significantly with the return of Nate to the lineup. They are now scoring at a 3.77 goals per game clip where during Schmidt’s suspension that number was just 2.50. It’s not all that abnormal in the NHL, but for the Golden Knights, it’s very simple. Score three, add two to their record. Key offseason acquisition Max Pacioretty has missed the last four games with an upper-body injury sustained on a pretty nasty hit. He didn’t travel with the team to Nashville and St. Louis and only re-joined practice the day of the Carolina home game. Now, on this trip East, he’s ready to re-join the lineup. Obviously, any time would be good to get a player like Pacioretty back in the lineup, but a November game against Toronto is literally as good as it gets for Max. For some reason, October and December are not great months for Pacioretty. In every other month, he’s about a .75 point per game player and he scores once every 3rd game. Last season we brought awareness to one NHL benchmark backed by historical data that can predict which teams make the postseason. The (American) Thanksgiving Day playoff marker is a good measure for a team’s future success. The turkey day study suggests teams that are sitting in a playoff spot by Thanksgiving have a very high chance of competing for the Cup. A more nail-biting trend is the November 1st, benchmark that Sportsnet’s Elliotte Friedman often brings up. NHL teams four or more points out of a playoff spot by 11/01, have roughly an 18% chance of making the postseason. Since 2005-06, 47 of 58 teams that were 4+ points out of the postseason spot by November 1st, missed the playoffs. That’s a whopping 82% of teams that their fate was determined by the beginning of November. Unfortunately, that’s where the Golden Knights were, and still are as of this moment. On November 1st, the Golden Knights had a record of 5-7-1 (11 points), good for seventh in the Pacific Division, and four points out of a playoff spot. Along with Vegas, Detroit, Florida, Los Angeles, and St. Louis also were 4+ points down. 82% means four of those five teams are already eliminated, while one still has a shot. Last season, Minnesota was the one that made the playoffs after being caught in the post-Halloween vortex. The stat PDO is hockey’s best indicator of a team’s relative “luck.” PDO is simply a calculation of offensive shot percentage plus team save percentage. In theory, those numbers should add up to 100%, anything above and the team is getting lucky, anything below and they’re unlucky. The term luck can be heavily debated, and I tend to land more so on the side of saying luck is an excuse more than an explanation of what’s going wrong with a hockey team. That being said though, sometimes the numbers are so astounding that they cannot be ignored. That’s the case 12 games into the 2018-19 season for the Vegas Golden Knights. Their shooting percentage is 6.34%, last in the league, and their save percentage is 88.78%, 24th in the league. Add them up and you get a PDO of 0.951, tied for 31st in the NHL. It gets even worse if you drop special teams and look only at even strength. Then the Golden Knights PDO is 0.942, far and away the worst in the league. So what does this mean? Well, for starters, it means based on the number of shots taken and number of shots saved, the Golden Knights are between 14 and 20 goals short of a 1.00 (average) PDO. That’s well over one extra goal per game. For you math nerds, the Golden Knights PDO is 2.27 standard deviations from the league average after 12 games. For those who have no clue what the heck that means, historically, teams one standard deviation away from the average are considered unlucky. Teams two standard deviations from the norm are considered extremely unlucky. The Golden Knights are 2.27 away, so they are pushing some sort of voodoo magic level of bad luck. Of course, a 7-0 game here or there could completely swing that number back without seeing a massive impact in the standings, but if it’s a slow burn back to the 1.00 number, or anything close, we’re literally talking about a goal a game difference. There are many reasons to explain it and there’s no question a portion of the numbers rest on the shoulders of poor play by the Golden Knights. However, there’s a difference between a couple of missed opportunities and a couple of breakdowns and a 0.951 PDO. Since 2007-08, no team has finished with a PDO of less than 0.966. If the Golden Knights were sitting at that number right now, they’d have about five more goals. The worst shooting percentage over that span is 6.9%. Vegas’ is currently 6.34%. If they had that extra roughly 0.5% back, they’d have another three goals. And these are comparisons against the worst teams in 10 years! 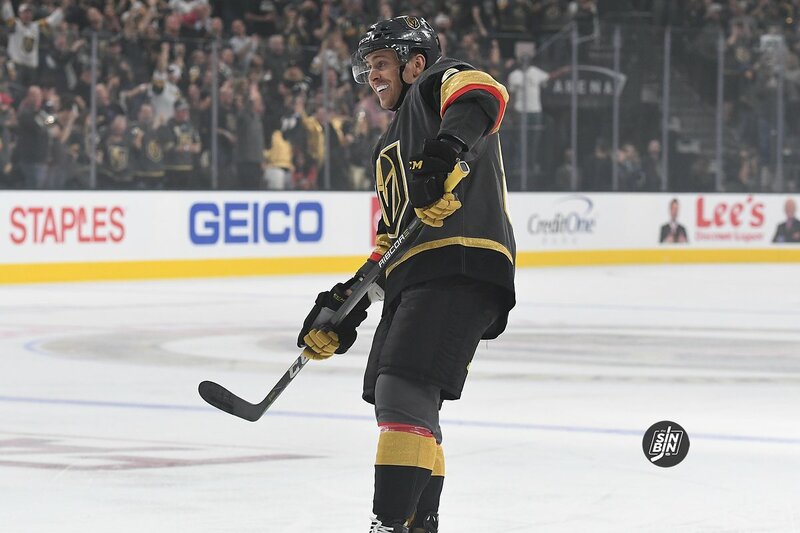 Through six games of the regular season, the Golden Knights have netted just 11 goals and have yet to score more than two in any game. No matter how you slice it, that’s a problem. The first excuse you’ll hear is about the posts. Those complaints are legitimate as the Golden Knights are currently tied for the league lead in post hits with eight. Eight more goals would look great, however, that’s horribly unrealistic to expect because post hits happen to everyone. Last year, the Golden Knights hit 57 posts on 5,020 shot attempts. That’s about 1.13% of shot attempts that hit the pipes. In the 393 shot attempts they’ve had this year this year, the numbers say the Golden Knights should have hit the posts 4.46 times. So, we’re only talking 3.54 more goals over six games, and that’s if the pucks go in instead of off the pipes. More likely, and you’ll see why in a second, at least a few of those 3.54 shots were probably lucky to hit the post rather than sail wide. But that’s only a tiny part of the story. The big part of the story has nothing to do with puck luck or goaltending or anything else, it’s simply that the Golden Knights are not hitting the net enough on their shots. In fact, they rank 2nd in the NHL with 92 missed shots (behind San Jose) and they lead the league in having their shots blocked with 108. That’s 200 shots they have taken that have not made it to the goalie. Last year Vegas averaged about 28 shots blocked or missed last season, this year the number is over 33. Jonathan Marchessault leads the NHL in missed shots with 14. Reilly Smith and Shea Theodore both have nine, ranking them in the top 15. Erik Haula and Max Pacioretty each have seven. Maybe worse is the Golden Knights through percentages. A “through percentage” is the percentage of shots that are taken that actually make it to the goalie. It’s specifically important for defensemen when taking shots from the point. Last year, Nate Schmidt brought up the rear with a through percentage of 40.4% on the season. Sbisa was around 42%, Miller and McNabb at about 45%, Engelland, Merrill, and Hunt near 50%, and Shea Theodore had an excellent 55% through percentage.